Objective To investigate the effect of pet ownership and exposure to indoor allergens on lung function in 3-year-old children. Participants Children recruited prenatally and followed prospectively to age 3 years. Main Outcome Measures Specific airway resistance (sRaw) (measured with body plethysmograph) at age 3 years; skin-prick tests; data on cat and dog ownership collected prospectively; allergen levels measured in dust collected from homes (high exposure defined as mite allergens >2 μg/g in mattress, and dog >10 μg/g and cat >8 μg/g allergens on the living room floor). Results There was no effect of cat or dog ownership at birth or age 3 years on lung function, and no association between lung function and mite, dog, or cat allergen exposure. Sensitized children exposed to high levels of sensitizing allergen had significantly poorer lung function (n = 49, sRaw kiloPascal per second [kPa/s]; geometric mean [GM], 1.20; 95% confidence interval [CI], 1.13-1.28) than children who were not sensitized and not exposed (n = 114; GM, 1.08; 95% CI, 1.04-1.12); not sensitized, but exposed (n = 282; GM, 1.07; 95% CI, 1.05-1.10); or sensitized and not exposed (n = 53; GM, 1.12; 95% CI, 1.06-1.18; P = .005). In a multivariate model, independent significant associates of lung function were maternal and paternal asthma, and the combination of sensitization and exposure to sensitizing allergen, with significant interaction between them. Lung function was substantially worse in sensitized and highly exposed children with both asthmatic parents (GM, 2.23; 95% CI, 1.68-2.97), compared with those with neither (GM, 1.09; 95% CI, 1.04-1.16) or just 1 of these features. Conclusions Pet ownership, sensitization without exposure, or exposure in nonsensitized individuals have no effect on lung function. However, the combination of specific sensitization and exposure to sensitizing allergen is associated with significantly poorer lung function in early life. The relationship between allergen exposure, sensitization, and the development of asthma is complex. Although a dose-response relationship has been demonstrated between mite allergen exposure and specific sensitization in children,1-3 this exposure does not appear to be implicated in the development of asthma.4 The effect of pet ownership and exposure to pet allergens on the development of sensitization and asthma is even less clear. Based on the current evidence, any association between pet ownership, sensitization, and asthma can be supported (ie, pets may be a risk, protective, or may have no effect at all).5-7 In a systematic review of the relationship between exposure to pets and risk of asthma, Apelberg et al8 reported a linear association between age at assessment and the strength of the association, with pet ownership being associated with a decreased risk of wheezing in children younger than 6 years, but with an increase in the risk of wheezing when children were assessed at age 6 years or older. Within the context of a prospective birth cohort study investigating the risk factors for development of asthma,14,15 we investigated the effect of pet ownership and exposure to cat, dog, and house dust mite allergens on lung function in preschool children. Knowledge of the factors affecting lung physiology in early life may help our understanding of subsequent asthma development. The birth cohort (National Asthma Campaign Manchester Asthma and Allergy Study) is described in detail elsewhere.14,15 Subjects were recruited antenatally by screening prospective parents using skin testing and questionnaires regarding allergic diseases. Information on pet ownership was collected prospectively. Informed consent was obtained from parents and the study was approved by the local research ethics committee. All participants were invited to attend a review clinic at age 3 years (±4 weeks). A standard, validated American Thoracic Society questionnaire was administered by an interviewer to collect the information on parent-reported symptoms, physician-diagnosed illnesses, and treatments received. Children were skin tested for 6 common inhalant and food allergens (D pteronyssinus, cat, dog, mixed grasses, egg, milk, positive and negative control; Bayer, Elkhart, Ind). Sensitization was defined as a mean wheal diameter at least 3 mm greater than the negative control. Measurements of sRaw were made in all children willing to participate. Children were asymptomatic at the time of the lung function assessment. β2-Agonists were withheld for at least 4 hours prior to testing. Specific airway resistance was measured using whole-body plethysmography (Jaeger; Würzburg, Germany) as previously described12,13 by a single-step procedure from the simultaneously measured changes of respiratory flow and plethysmographic pressure, omitting the measurement of thoracic gas volume. Measurements were carried out during normal tidal breathing using a modified facemask (Astratech No. 2; Astra, Denmark) fitted with a noncompressible mouthpiece.12 Specific airway resistance was calculated from the mean of 5 technically acceptable loops. Three measurements of effective sRaw were performed, and the median of these was used in the analysis. Dust samples were collected from the homes of 827 subjects at age 3 years using a Medivac dust sampler (Medivac PLC; Cheshire, UK) as described previously.14 Samples were assayed using 2-site immunometric enzyme-linked immunosorbent assays (ELISA).16 Levels of cat and dog allergens were determined from dust samples taken from living room floors, while levels of mite allergens were measured in the sample from the childs’ mattresses. High exposure to dust mite, cat, or dog allergens was considered when mite allergens were greater than or equal to 2 μg/g,2 cat allergens were greater than or equal to 8 μg/g,17 and dog allergens were greater than or equal to 10 μg/g.18 These values were used to divide study participants into those exposed or not exposed to each allergen. Statistical analysis was carried out using SPSS for Windows, version 11.0 (SPSS Inc, Chicago, Ill). Specific airway resistance measurement followed a log-normal distribution; hence, it was subjected to a logetransformation prior to analysis. Independent t test and Pearson correlation were performed where appropriate. Further analysis of the factors affecting lung function was carried out using general analysis of variance (ANOVA) models including the Scheffe post hoc multiple comparison tests. Results are presented as geometric means (GM) adjusted for other confounding factors and 95% confidence intervals (CI). Figure 1 shows the trial profile. Of 1085 children who were born into the study, 996 attended the 3-year follow-up. Of these, 122 had been prenatally randomized to an environmental control regimen14 and were not included in the analysis. Of the 760 children who underwent skin testing, 498 (65.5%) successfully performed sRaw measurements. There was no difference between children who successfully completed lung function testing compared with those who did not in the prevalence of sensitization, maternal smoking, and maternal asthma. Study profile. SPT indicates skin prick tests; LF, lung function. There was no significant effect on sRaw of owning a cat, owning a dog, or owning both a cat and a dog either in early life or at the age of 3 years (Table 1). At the time of the 3-year review, 234 (47%) of 498 children had contact with a pet on a regular basis (most days of the week) and 32 (6.4%) children had no reported contact with a pet. There was no difference in sRaw between children who had regular contact with pets at age 3 years (sRawkiloPascal per second [kPa/s]; GM, 1.10; 95% CI, 1.07-1.13) compared with those with no contact (GM, 1.09; 95% CI, 1.01-1.17; P = .86). Children sensitized to at least 1 allergen (n = 101, 20.3%) had significantly poorer lung function compared with those who were not sensitized to any allergen (GM, 1.15; 95% CI, 1.11-1.21 vs GM, 1.08; 95% CI, 1.06-1.10; P = .002, sensitized vs non-sensitized, respectively). With respect to the specific sensitizations, lung function was significantly worse in children who were sensitized to either dust mite allergens (n = 53; GM, 1.15; 95% CI, 1.09-1.23), cat allergens (n = 24; GM, 1.21; 95% CI, 1.12-1.32), or dog allergens (n = 26; GM, 1.25; 95% CI, 1.12-1.40) compared with children who were not sensitized to any allergen (P = .03, P = .005, and P = .001, respectively). In a multiple ANOVA model, controlling for the effect of sensitization to other inhalant and food allergens, dog sensitization remained the only significant independent associate of sRaw (P = .04). There was no significant effect of high exposure to dust mite, cat, dog, or any 1 or more allergens on sRaw (Table 2). The effect of a combination of sensitization and high exposure to sensitizing allergen for individual allergens is presented in Table 2. Among the 24 children sensitized to cat allergens, there was no difference in sRaw between those who were exposed to high levels of cat allergens and those not exposed, and no correlation between sRaw and cat allergen levels (r =–0.06; P = .79). In dog allergen–sensitized children, there was a borderline significant difference; children exposed to high levels of dog allergen had a higher sRaw compared with those not exposed, and a significant positive correlation was observed between sRaw and dog allergen levels (lung function became increasingly worse with increasing exposure; r = 0.45; P = .03). In mite-sensitive children, although there was no difference in sRaw between exposed and not exposed individuals, there was a tendency for lung function to become increasingly worse with increasing mite levels (r = 0.25; P = .09). Based on their sensitization and exposure status, children were divided into the following groups: not sensitized and not exposed to any of the allergens; not sensitized, but exposed to high levels of at least 1 allergen; sensitized, but not exposed to high levels of sensitizing allergen; both sensitized and exposed to high levels of the sensitizing allergen. Sensitized children who were exposed to high levels of the sensitizing allergen had significantly poorer lung function (n = 49, sRawkPa/s; GM, 1.20; 95% CI, 1.13-1.28) than children who were either not sensitized and not exposed (n = 114; GM, 1.08; 95% CI, 1.04-1.12); not sensitized, but exposed to high allergen levels (n = 282; GM, 1.07; 95% CI, 1.05-1.10); or sensitized and not exposed (n = 53; GM, 1.12; 95% CI, 1.06-1.18; P = .005; 1-way ANOVA) (Figure 2). Effect of sensitization and exposure status on specific airway resistance (sRaw) at age 3 years. CI indicates confidence interval; GM, geometric mean; kPa/s, kiloPascal per second; NS/NE, not sensitized and not exposed to any of the allergens; NS/E, not sensitized, but exposed to high level of at least 1 allergen; S/NE, sensitized, but not exposed to high level of sensitizing allergen; S/E, both sensitized and exposed to high levels of the sensitizing allergen. Regression analysis was performed including variables for which a significant association with sRaw was found in the univariate analysis (child’s sensitization and exposure status, parent-reported wheezing and eczema, and parental history of asthma and maternal smoking). Independent significant associations with sRaw were seen for maternal and paternal asthma and sensitization and exposure status. Maternal smoking and child’s eczema were not significant and independent associates of sRaw, while there was some evidence of a relationship with parent-reported wheezing (Table 3). The estimated marginal means (means adjusted for other factors) for sRaw in a multiple ANOVA model in relation to the sensitization and exposure status are presented in Table 4. The post hoc analysis revealed that sensitization in the absence of exposure or exposure in nonsensitized individuals were not associated with poor lung function (sensitized/not exposed vs not sensitized/not exposed, P = .89; not sensitized/not exposed vs not sensitized/exposed, P = .96). However, the combination of sensitization and exposure to sensitizing allergens was associated with markedly and significantly poorer lung function (sensitized/exposed vs not sensitized/not exposed, P = .05; sensitized/exposed vs not sensitized/exposed, P = .008). We observed significant interactions between maternal and paternal asthma and sensitization and exposure status. The estimated marginal mean for sRaw in a multiple ANOVA model was substantially and significantly worse in those children who were sensitized and highly exposed to sensitizing allergens and had both mothers and fathers with a history of asthma (GM, 2.23; 95% CI, 1.68-2.97), compared with the children with neither of these features (GM, 1.09; 95% CI, 1.04-1.16) or just 1 of them. Children aged 3 years who were both sensitized and currently exposed to high levels of sensitizing allergen had significantly worse lung function compared with those who were either not sensitized, or were sensitized but not currently exposed. These results indicate that sensitization per se in the absence of exposure to allergen-causing sensitization has little effect on lung function in preschool children. However, sensitization has a major effect on lung function within the context of specific exposure. It should be emphasized that our observations were based on a single evaluation of each child made during quiet breathing and in the absence of any evidence of viral infection. It is possible that atopic children would respond differently to exercise or viral syndrome challenge than nonatopic children. Our data revealed significant interactions between maternal and paternal asthma and a child’s sensitization and exposure status. After adjusting for the history of wheezing, lung function was substantially and significantly worse (~ 100% higher sRaw) in children who were sensitized and exposed to high levels of sensitizing allergens and had both mothers and fathers with a history of asthma, compared with the children with none or any 1 of these features. This suggests that there is a strong inherited component that interacts with environmental exposures, predisposing children to poor lung function in early life. Our data indicate that allergen sensitization and exposure may be clinically relevant events in young children, and the emphasis on viral infection as a predominant cause of wheezing in this age group may not be accurate. Cat and dog ownership either at birth or at 3 years of age had no effect on lung function. It is important to emphasize that these data do not provide any firm evidence on the relationship between pet ownership and asthma, but do suggest that if any association does exist, it is unlikely to be mediated via lung function. Investigation of the effect of sensitization and exposure to individual allergens on different outcomes is inevitably confounded by the fact that some individuals are sensitized (and/or exposed) to more than 1 allergen. Coupled with the fact that despite the size of the cohort, a relatively small number of children were sensitized and exposed to individual allergens, this could have contributed to equivocal data on the effect of high exposure to mite and cat allergens on lung function in children sensitized to those allergens. In a group of older, dust mite–allergic Australian school children, Jalaludin et al19 reported a significant inverse relationship between peak expiratory flow and mite allergen concentration in sensitized children but no association in children who were not sensitized. In contrast to the findings on mite and cat allergen exposure, we found a significant positive correlation between sRaw and levels of dog allergens in children sensitized to dog allergens, with exposure to increasing levels of dog allergens being associated with deterioration in lung function. Nelson et al20 investigated the effects of high exposure in sensitized children enrolled in the Childhood Asthma Management Program (CAMP) study. Similar to the finding in the current study, sensitization to dog allergens had a significant independent effect on lung function (assessed by measuring forced expiratory volume in 1 second [FEV1]). However, in contrast to our findings, there was no difference in prebronchodilator FEV1 or airway reactivity between sensitized children who were exposed or not exposed to dog allergen. These differences may be explained by the different study designs and the primary outcome measures (eg, we present the data from the whole population study, compared with only asthmatic children in CAMP; participants in our study were younger; FEV1 may be a less sensitive tool to detect the differences in lung function compared with the specific airway resistance). Experimental studies have suggested that several mite allergens are proteolytic enzymes that can potentially cause airway damage independently from their allergenic effect.23,24 However, in the current study, we found no evidence for the independent effect of high levels of mite allergen, or other allergens, on lung function. This is in agreement with the data showing no relationship between mite and cat allergen exposure and FEV1 at 7 years of age.4 In our study, allergen exposure exhibited the effect on early-life lung function only in sensitized individuals, and independent of a history of wheezing. Thorough knowledge of the factors affecting lung physiology in early life could have a major effect on our understanding of the causes of asthma. 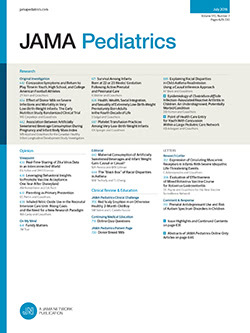 The data from the Tucson cohort suggest that a deficit in lung function in persistent wheezers is not present early after birth, but seems to be acquired during the first years of life.25 Important information on the relationship between standard measures of lung function in childhood with adult asthma comes from the Melbourne Asthma Study,9 where participants have been reviewed at the ages of 10, 14, 21, 28, 35, and 42 years. The results suggest that the clinical pattern of asthma in early childhood is predictive of that in adult life.9 Furthermore, individuals with troublesome symptoms in adult life had an early loss of FEV1 in childhood (at 10 years), which did not appear to progress at a greater rate as compared with the asymptomatic group or those with mild symptoms.9,26 Similarly, a recent study27,28 from New Zealand suggests that reduction in lung function at age 26 years could be tracked to decrements at 9 years of age. In this study we report on the effect of several environmental exposures on lung function in preschool children. Our data suggest that allergic sensitization in the absence of exposure to the specific sensitizing allergen or exposure to high allergen levels in individuals not sensitized to that allergen are not associated with poor lung function. However, the combination of sensitization and exposure to sensitizing allergen is associated with significantly poorer lung function in early life. This may help our understanding of the often confusing association between atopy and asthma. The effect of pet ownership and allergen exposure on the development of asthma and sensitization is unclear. It is known that the majority of asthma cases originate early in life and are associated with impaired lung function in older children that may track to persistent disease in adult life. The majority of studies in young children inevitably focus on parent–reported symptoms due to the paucity of data on lung function in early life. It is therefore important to elucidate those factors which affect lung function in preschool children in order to help our understanding of the early life development of asthma. This study shows that in young children a combination of sensitization and exposure to a sensitizing allergen results in significant deficits in lung function when compared with sensitization alone or sensitization without current exposure to the sensitizing allergen. A strong heritable component was shown to interact with sensitization and environmental exposures. The study suggests that allergen sensitization and exposure may be clinically relevant even in early life. Correspondence: Adnan Custovic, MD, PhD, North West Lung Centre, Wythenshawe Hospital, Manchester M23 9LT, England (a.custovic@man.ac.uk). Accepted for Publication: May 13, 2004. Funding/Support: Funded by the National Asthma Campaign and Moulton Charitable Trust, London, England. Acknowledgment: We thank all the parents and children who took part, as well as all of the members of the NACMAAS Study group.